Decorations from the stash I already have and dollar tablecloth. 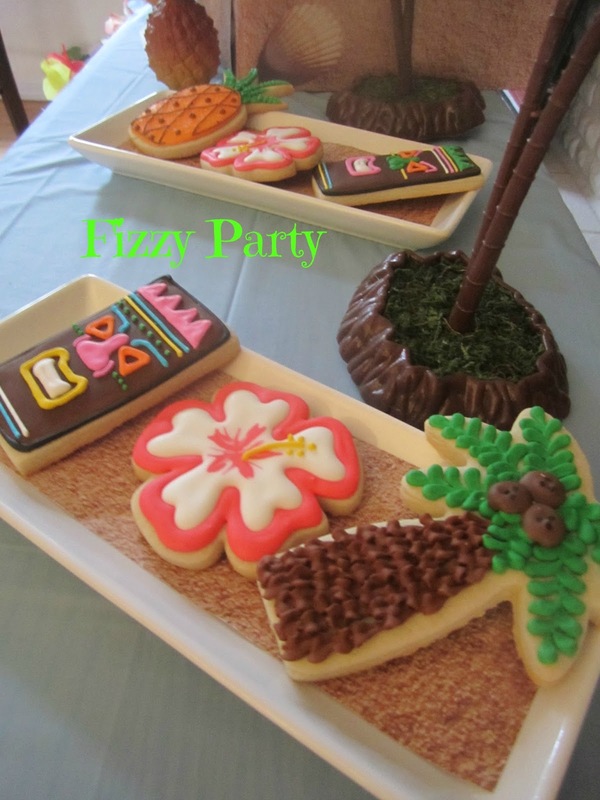 No party is complete without dessert! 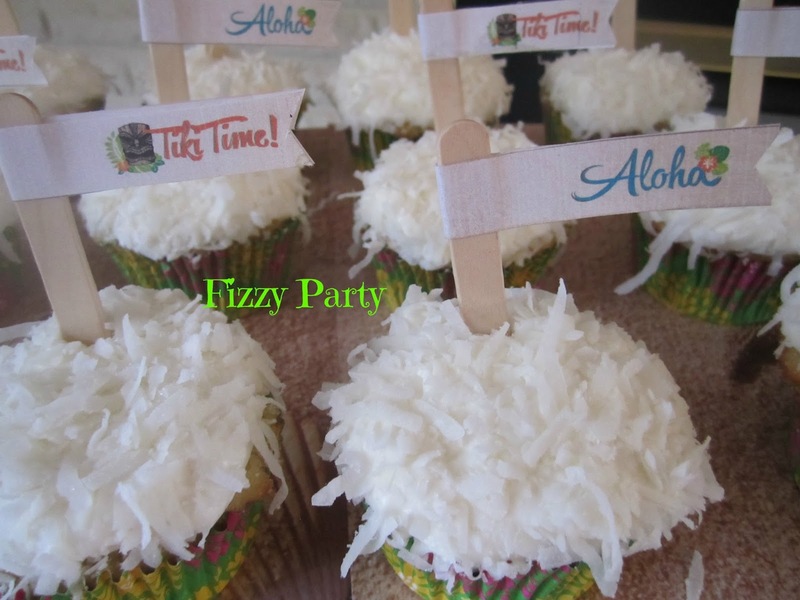 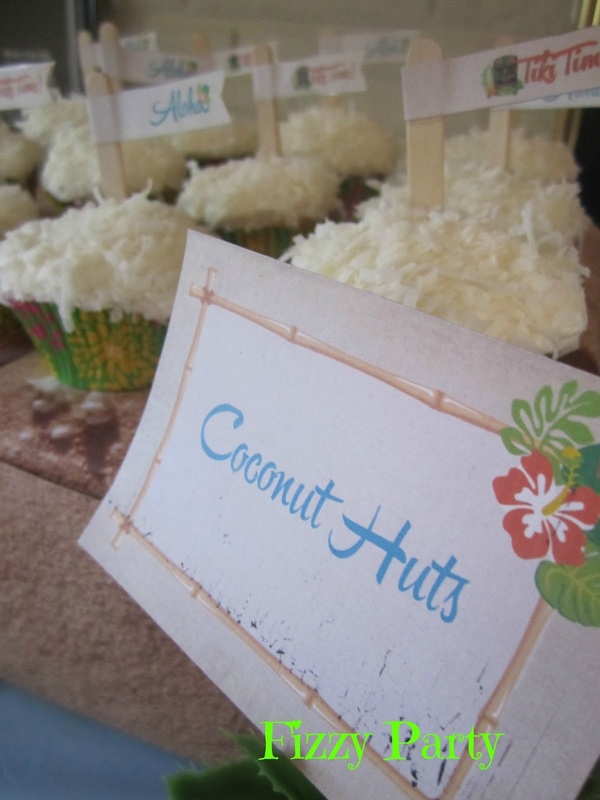 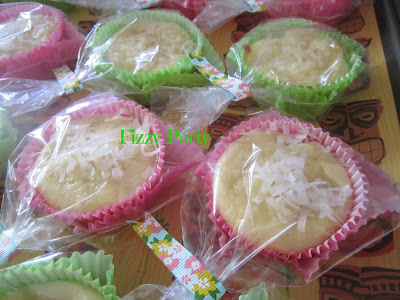 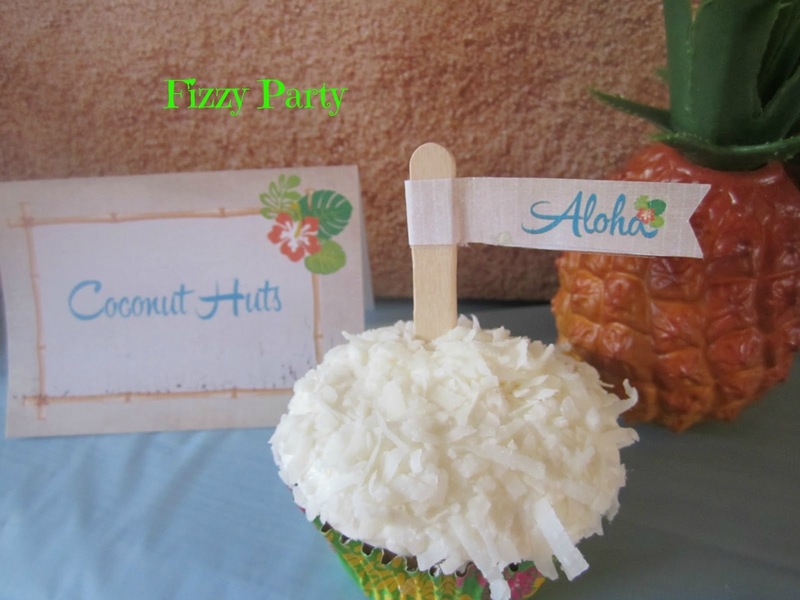 This year's Tiki featured coconut cupcakes made from DC Cupcakes Cookbook and cookies from Auntie Bea's Bakery . Auntie Bea's cookies were a HUGE hit. Not a cookie crumb was left. 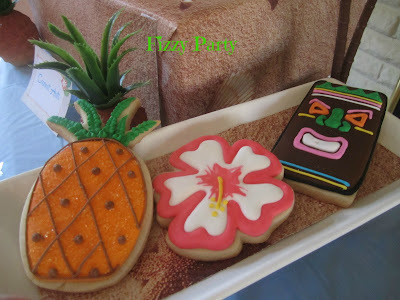 How gorgeous are these cookies! For party favors I sent everyone home with Pina Colada Muffins from Welcome Home Blog to continue the Aloha spirit the next day. 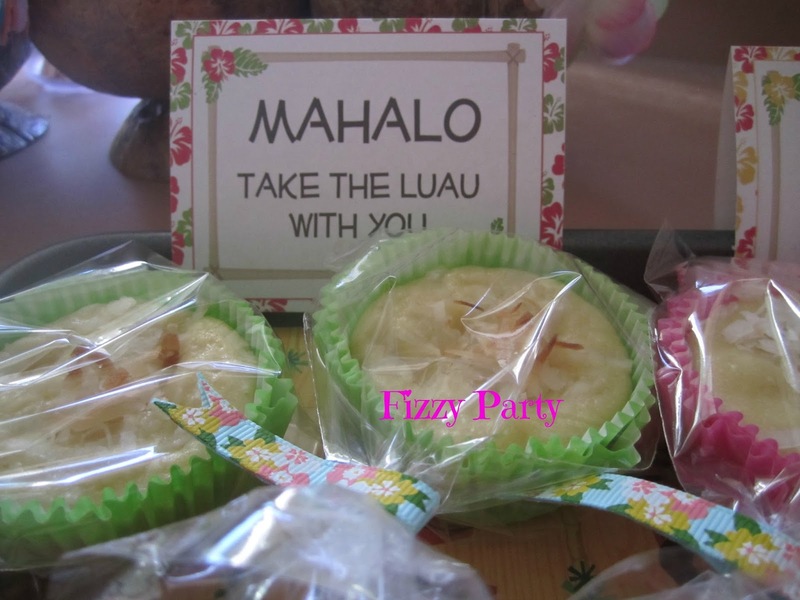 \Fun beautiful beach bags by Hello-Beach. 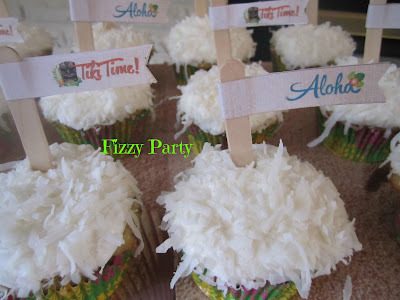 I hope I've inspired you to throw a little Aloha into your summer.